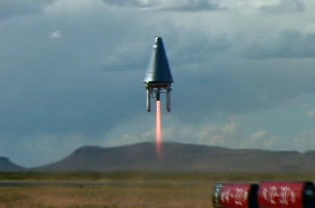 Jeff Bezos (the Amazon guy) has a top secret rocket ship that didn’t crash in this test flight. Top Men are still a bit foggy about how vertical takeoff and landing can be efficient, but we suppose it has something to do with keeping those expensive engines intact for the next go-around. Just seems like there has to be a better way to bring ’em down softly. But we have to admit it just looks like the future. Here is a Wired article. This entry was posted in Technology by topmen. Bookmark the permalink. Greetings Top Men! Stumbled onto your site, and I approve. Do you have an RSS feed?